Ultrasonography is a diagnositc technique that uses ultrasound waves to produce an imaging study. It produces high-frequency sound waves to create a picture of what is inside the body. 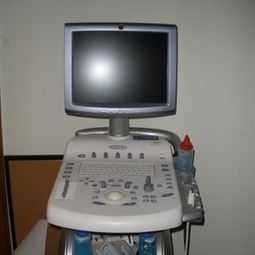 That means that when we perform an ultrasound, we can see internal images of the patient's body. Ultrasonography is completely non-invasive and is a painless way to diagnose and evaluate many common and some more complicated diseases.